Donna Tartt, winner of the 2014 Pulitzer Prize for her most recent novel, The Goldfinch, established herself as a major talent with The Secret History, which has become a contemporary classic. Under the influence of their charismatic classics professor, a group of clever, eccentric misfits at an elite New England college discover a way of thinking and living that is a world away from the humdrum existence of their contemporaries. But when they go beyond the boundaries of normal morality their lives are changed profoundly and forever, and they discover how hard it can be to truly live and how easy it is to kill. 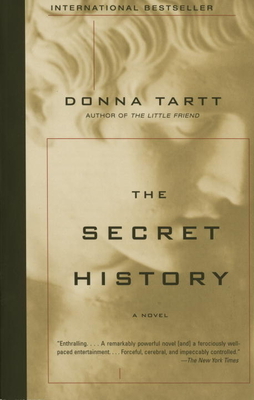 Donna Tartt won the 2014 Pulitzer Prize for her most recent Novel. The Goldfinch Her novelsl The Secret History and The Little Friend were also international bestsellers. She was born in Greenwood, Mississippi, and is a graduate of Bennington College.